For his sophomore feature as a director following his work on the acclaimed 1997 character-driven indie sleeper The Winter Guest (which starred his Sense and Sensibility screenwriter and costar Emma Thompson), Alan Rickman called upon another Sense collaborator in the form of Kate Winslet, with whom he hadn’t worked since they were cast as onscreen love interests in Ang Lee’s beloved ’95 classic. 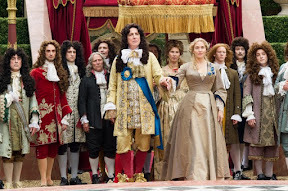 Playing a poor but talented widow with a flair for architectural design, Winslet shines in Rickman's female-centric revisionist period picture that weaves a rich wish-fulfillment narrative about love, loss, gender, and gardening in the time of French King Louis XIV's court at Versailles. A self-proclaimed "clay kicker" known for thinking outside-of-the-box – which we gather has been a constant requirement in her life as an intelligent woman of independent mind rather than independent means – after Winslet's gardening savant comes up with an ingenious way to conserve and incorporate water into the burgeoning garden design, she's invited to work alongside a master in the field, portrayed by Matthew Schoenaerts. A victim of timing, while their natural chemistry is easily apparent, their love story takes awhile to bloom. 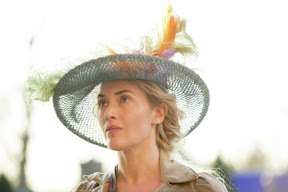 And although she’s challenged by her own self-doubt as well as outside forces hoping to bring Winslet down professionally and personally, thanks to the film’s largely jovial tone and some amusing if half-baked supporting characters and subplots, we're never in doubt that our heroine will succeed by the film's end. Infused with an intentionally modernist sensibility given its progressive treatment of gender roles and sexuality in all manner of male/female relationships, the lovingly crafted historical dramedy plays well to its target audience of Anglophiles whose DVRs are full of Masterpiece Theatre productions and female-centric series such as Call the Midwife. 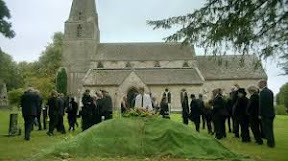 And although the admittedly feminist fairy-tale arc makes an overt misstep as our intelligent widower finds herself finally able to let go of guilt only after a man tells her something isn't her fault, all in all, it's easy to forgive since overwhelmingly the film's heart is in the right place. 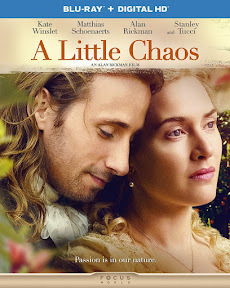 Overstuffed with talent – by trying to make room for all of its immensely talented cast of characters (including Rickman as the King and Stanley Tucci as his brother, the Marquus), Chaos loses us here and there with scenes that pull focus from the main journey undertaken by our heroine. Augmented by the beautiful cinematography from Winslet's gifted Eternal Sunshine of the Spotless Mind director of photography Ellen Kuras, while eventually it guides us back into Winslet's storyline thanks to the strong hand of Rickman, overall A Little Chaos may be best remembered as a lovely, decorative diversion much like the palace gardens themselves. 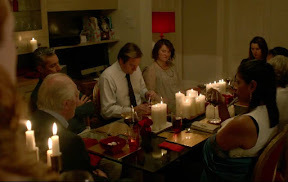 Lacking the roots and depth of a more sophisticated plotline, the nonetheless amiable, earnest effort from scripters Alison Deegan, Jeremy Brock, and Alan Rickman is like a lovely bouquet of wildflowers that quickly charms but loses its hold on us much too soon. Featuring a standout score from Peter Gregson that matches the power of Kuras' hypnotic images, the newly released to Blu-ray feature ends on a high note for all in a showstopper of a finale that pulls back from a small garden party to gradually reveal the magnificent magnitude of the maze-like creation of interlocking gardens in one single breathtaking shot. 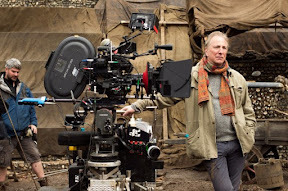 A welcome return to filmmaking for Rickman, although Little doesn't have as big of an impact as it might have with a sharper script, staggering moments like that closing sequence as well as his all-around skill with actors make us hope we won't have to wait another two decades for the talented actor to direct once again. Before The Man From U.N.C.L.E. became a campy, colorful spoof in subsequent seasons, the series originally titled Ian Fleming’s Solo began in all seriousness in its initial season as the small screen’s black and white answer to the big screen’s Technicolor James Bond. Unable to juggle both projects, the in-demand 007 scribe Ian Fleming signed over the rights to the two characters he'd created (including both The Man From U.N.C.L.E. and its spinoff The Girl From U.N.C.L.E. protagonists Napoleon Solo and April Dancer) for television producer Norman Felton and bowed out of the series. 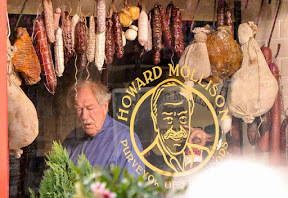 Whereas Fleming's schedule was far too crowded, Norman Felton turned to his colleague Sam Rolfe whose calendar was set to open up just as their NBC series The Eleventh Hour came to a close. Dubbed "the real man from U.N.C.L.E." 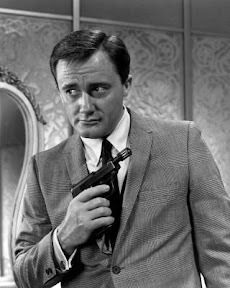 by the show's star Robert Vaughn (who played the eponymous "man from U.N.C.L.E.” and retained the Fleming name of Napoleon Solo), Rolfe drew upon Fleming's notes to construct a bold, sophisticated, and refreshingly complex world of espionage. Although he left room for situational humor and elements of science fiction in the international law enforcement agency's ongoing battle against the evil THRUSH (first called WASP in episode one), Rolfe established not only U.N.C.L.E.’s winning formula but the overall tone of the first season as a dramatic action series in his masterful pilot. In doing so, he set the bar for the genre and decades of shows that would follow from Mission: Impossible to Charlie's Angels up through Scarecrow and Mrs. King to Alias and beyond. While it took time to build a loyal following (thanks to a time slot change and a number of in-person meet and greets that introduced the stars directly to the viewers), U.N.C.L.E. learned early on how to connect to its audience by giving fans exactly what they wanted – namely more of Solo's second-in-command, the Russian agent Illya Kuryakin. 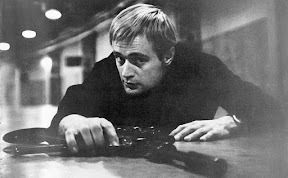 Played by the handsome blonde haired Scottish actor David McCallum with a then-hip Beatles style haircut, although Illya Kuryakin started off the show as a barely visible background bit player, it wasn’t long before he became Solo's irreplaceable partner and backup man. 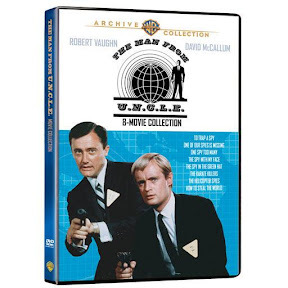 An intriguing mix of quiet cool that played well off Vaughn's lighthearted warmth – while the network execs allegedly wanted "the Russian" off the show – the vital role that McCallum’s Kuryakin played on a series at the height of the Cold War cannot be understated as it’s one of the things that instantly set U.N.C.L.E. apart from traditional '60s TV fare. 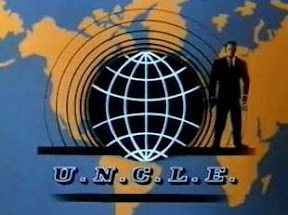 And in addition to creating Kuryakin, Rolfe and the rest of the show's writing staff dared to think globally– making U.N.C.L.E. (which stood for United Network Command for Law Enforcement) a worldwide smash more than fifty years before the studios realized how important an internationally diverse cast is in a title's success. 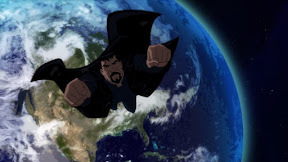 While admittedly it is very '60s – taking the Bond-like approach wherein Solo often finds himself saving dizzy damsels in distress who easily fall into the arms of Vaughn's agent by the end of each fifty minute episode – the ambitious series regularly ramped up the action and excitement with each successive week. 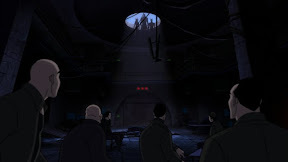 From parking garage shootouts (complete with refreshing calls to reload rather than fire endlessly past the point of disbelief) to elevator shaft acrobatics, U.N.C.L.E. may have been broken up into play-like acts to accommodate mandatory commercial breaks but each episode played like a TV movie of the week. 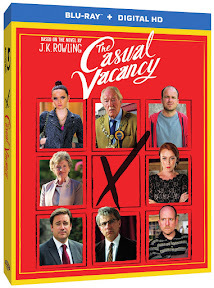 Therefore, it’s unsurprising that director Guy Ritchie turned it into a movie in 2015. 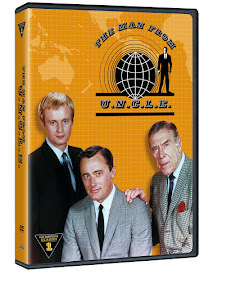 Furthermore as Solo and Kuryakin battled early versions of drones and biological weaponry along with changing color coded alert levels after surprise attacks on U.N.C.L.E. 's hidden New York headquarters (accessible through the fitting room of Del Floria's Tailor Shop), it’s easy to appreciate how effective the writers were at not only thinking outside the box but also ahead of their time. While predictably not all of the twenty-nine episodes included in the first season's ten-disc DVD set are winners, the collection offers a number of standouts (including "The Dove Affair," The Deadly Decoy Affair," "The Mad, Mad Tea Party Affair," and "The Never-Never Affair," among others) that still hold up remarkably well today. Transforming the pilot into a sexier Technicolor feature-length theatrical film designed to tap into the popularity of fellow MGM brand James Bond titled To Trap a Spy, after the success of the inaugural feature, the men behind U.N.C.L.E. went on to deliver two movies per season. Totaling eight films in all, while sadly the first two season one entries aren’t included in this set, the Warner Brothers Archive Collection has packaged all of the movies together in a terrific four-disc release that I tracked down at my local library for this review. 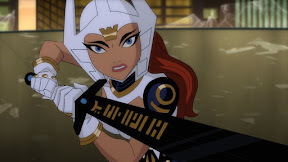 Although quite different conceptually, the colorful features are still an awful lot of fun and additionally offer aspiring screenwriters and those fascinated by the genre valuable opportunities to compare and contrast the two mediums. With the departure of Rolfe after the first season, the show spiraled into then-trendy spy spoof terrain. And without that winning combination of suspenseful drama and action, U.N.C.L.E. lost its compass, changing in tone and style as a whopping five different showrunners were hired to try to steer it back on course over three subsequent seasons. Of course that isn’t to say that the debut season didn’t experience its own share of growing pains, even with Rolfe and a writer’s room that included future Chinatown scripter Robert Towne. Especially apparent over the first few discs, the first season included a healthy amount of alterations in approach befitting of a show that largely took place next to a tailor shop. From Film Noir inspired cinematography in "The Dove Affair" to lots of Hitchcockian wrong man (or woman) comprised plotlines featuring an ever-evolving outsider as an audience surrogate, it took awhile for U.N.C.L.E to realize it was at its best when it blended genres together rather than tried to follow one strict style. Yet despite a few missteps and hiccups, the quality of season one, which featured memorable guest-stars (including a very young Kurt Russell along with William Shatner and Leonard Nimoy in the same episode, years before the debut of Star Trek) remained consistent throughout. 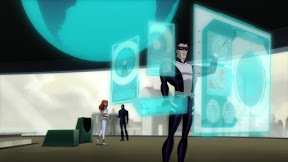 Although the lack of special features is a bit of a letdown, as a new viewer eager to check out the original series before catching the Ritchie remake, the main course of nearly thirty thrilling adventures alongside Solo and Kuryakin more than made up for it – proving to be as addictive as Jerry Goldsmith's instantly memorable, classic theme. More than just part of our pop culture, U.N.C.L.E. has earned its place as an exhibit in the Ronald Reagan Presidential Library as well as the C.I.A. 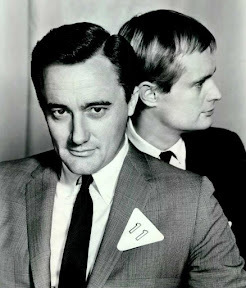 A daring series that – much like its characters – stayed in the periphery for the first few weeks before eventually making its presence known, more than fifty years later, the legacy of Ian Fleming, Norman Felton, Sam Rolfe, and Robert Vaughn's Solo continues to live on – alongside David McCallum’s Kuryakin – as the first in a long line of television spies.